Did you know each person in the U.S. generates an average of 4 pounds of harmful household waste a year? What Are Harmful Household Products? Harmful household products (HHPs) include any item used for everyday household cleaning and upkeep, but contains substances that are unhealthy to people and the environment if disposed of improperly. Batteries, oven cleaner, paint thinners, used stereo equipment, and even some antibiotics and pain medications are considered HHPs because of the abrasive contents they hold even after they're consumed. It's important to remember not every abrasive product is equally harmful. Motor oil and dish detergent both contain acidic contents, for example, but the former is an HHP. Dish detergent can be safely washed down one's kitchen sink, whereas other oils are flammable and risk volatile reactions when in contact with different waste. Improperly disposing of HHP can put people and pets in danger of accidental ingestion, as well as pollute natural resources such as groundwater, surface water and water used as a source for drinking water. It also contaminates wastewater treatment systems and can physically harm sanitation workers. The reduction and recycling of harmful products conserves resources and energy that would otherwise have been used in the creation of new products. Households can produce up to 100 pounds of hazardous waste per year, and with more than 8.4 million residents in New York City, it's easy for some of this waste to be mismanaged. 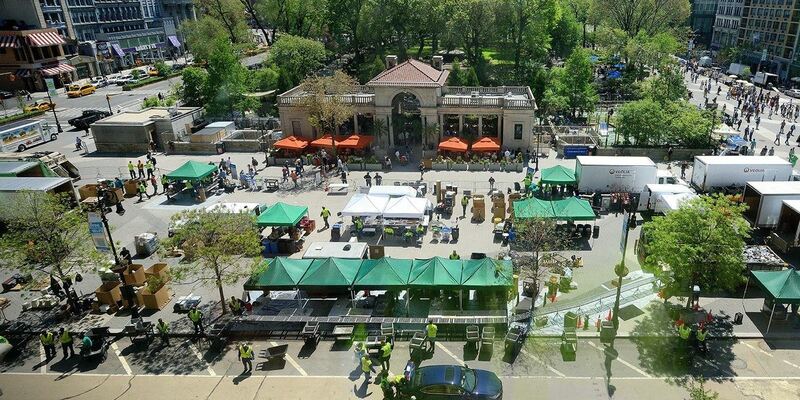 To keep the island safe, the New York Department of Sanitation (DSNY) sought to create a better, more sustainable solution for disposing harmful products. Transforming harmful household products and waste into useful materials is part of a resourceful city's commitment to the circular economy. In this economy, waste that is traditionally worthless is transformed into something valuable, creating new revenue streams and protecting the environment. The materials collected at the events are recycled, blended for fuel, or sent to one of Veolia’s fully permitted hazardous waste treatment facilities to turn the waste into reusable byproducts, like energy feedstock for cement kilns. A NYC SAFE event in Queens. 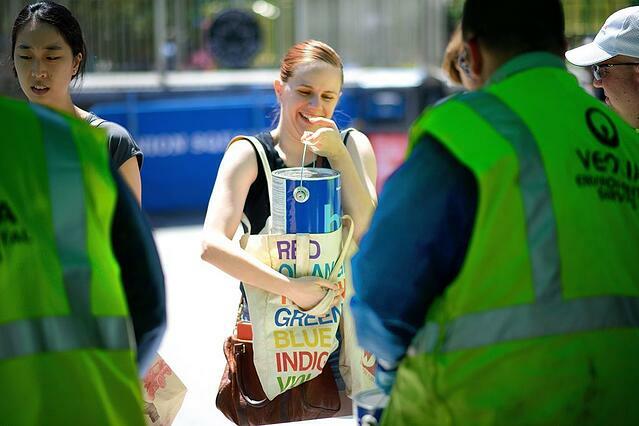 Since 2012, DSNY has been conducting annual collection events for NYC residents in each of its five boroughs. 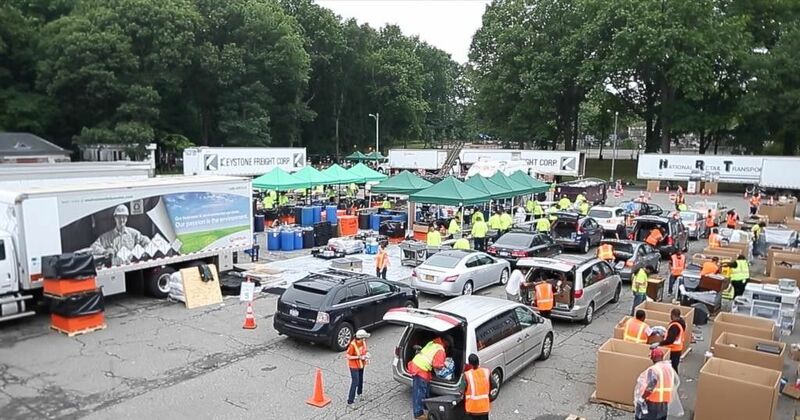 These SAFE Disposal events (Solvents, Automotive, Flammables and Electronics) have become one of the largest collection events in the world, having successfully collected over two thousand tons of HHPs in the past five years. Residents show up from all over the island to dispose of household waste such as pesticides, paints, batteries, light bulbs, motor oil and so many more potentially harmful products. In addition, DSNY operates five permanent special waste collection sites, one for each borough, whereby residents can drop off hazardous household materials at any point during the year. To learn more about harmful household products, download the infographic below.